Downtown Dance Factory returns to BMCC Tribeca Performing Arts Center for its ninth annual dance recital series! Girls and boys from three through eighteen will perform amazing dances in styles ranging from hip hop, jazz, breaking and tap, to classical ballet, musical theater, contemporary and lyrical dance! Accompanied by music from the Spice Girls to Celine to "Sweet Charity", from Madonna to MJ, from Lloyd Webber to Lorde & Lecrae, … expect an amazing journey of dance through the ages! From the enthusiasm of our littlest dancers through to the outstanding technique and artistry of our senior dancers, prepare to be thoroughly entertained from the moment the curtains part! 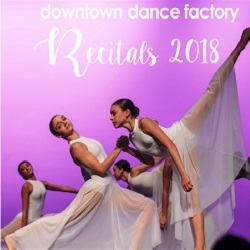 For more information about Downtown Dance Factory, visit www.downtowndancefactory.com or contact Downtown Dance Factory at 212.962.1800 or info@downtowndancefactory.com.